If you are interested in the agri-food field and would like to be part of IRTA´s team, here you will regularly find job offers addressed to researchers, technicians, and support personnel to work in the various centres IRTA has all around Catalonia. IRTA is a research reference centre with its own collective agreement that favours reconciliation of work and family life, promotion, training, and professional development. You can obtain additional information about a job offer in the “More information” link. Are you looking for a job and are interested in a position? 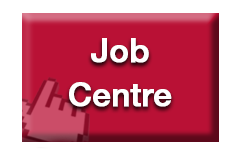 You can sign in our Employment board section. You haven´t found a job offer that suits your profile? When you sign in in the Employment board, you will be included in our database and will be informed on any future open positions.